For the last five years Lewis Hamilton raced for the McLaren team, but this year he signed a contract with Mercedes. Both teams use a similar color scheme, but that doesn't justify that you try to make your pit stop with your former team. Well, that is exactly what happened with Hamilton during the Malaysian Grand Prix. 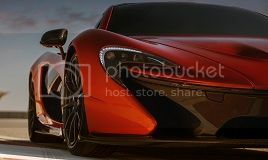 [Updated] 2013 McLaren P1 - Are these the official pictures? - They are! Six new pictures of the McLaren P1 have showed up in a Russian website and are claimed to be the official images of the production version of the British supercar. While i cannot confirm this for now, the latest spy pictures of the P1 were from an yellow test mule. 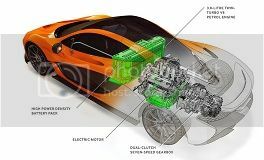 The Mclaren P1 is one of the most awaited cars of this year and slowly the British company reveals more and more pictures. These were taken at the Bahrain International Circuit ahead of its arrival in the United Arab Emirates this week for a private event as part of their Middle East tour. Slowly the British company reveals a bit more information about their new supercar, first it was a video, and this time we get to see the minimalist cabin and the extensive use of carbon fiber in the interior, saying it is the "cockpit of a fighter jet". McLaren celebrates 50 years with the first out of three videos "Courage"
This is the first of three videos and in it we get to follow Bruce McLaren, the company founder, while he tells a short version of his life on the day he died in a car crash with only 32 years of age. "On that beautiful summer day, on that race track, I did something more than leave a name and a memory, hopefully i became an inspiration". You did, thank you. The successor to the legendary F1 supercar will be named the P1 and has been shown in the Paris Motor Show in September 2012, but one thing is the look of the car another is how it drives, and the people at McLaren are hard at work on that aspect, so to prove that they released this video featuring the new supercar in a "relentless testing program". The P1 is the spiritual successor to the F1, a car that revolutionized the automobile world in the 90s, and is still loved and worshiped by many.